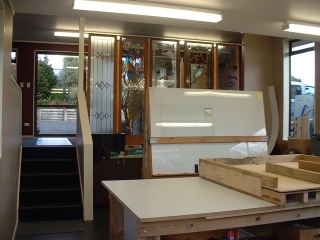 STAINED GLASS HAMILTON LTD – “For all your decorative glass needs”. Manufacturers of Stained Glass Overlay (SGO), Traditional Leadlight, Sandblast Etched Glass, Deep Carved Glass and Wall Art Glass. FREE design and quotation service. To find the best decorative glass solution for your needs. 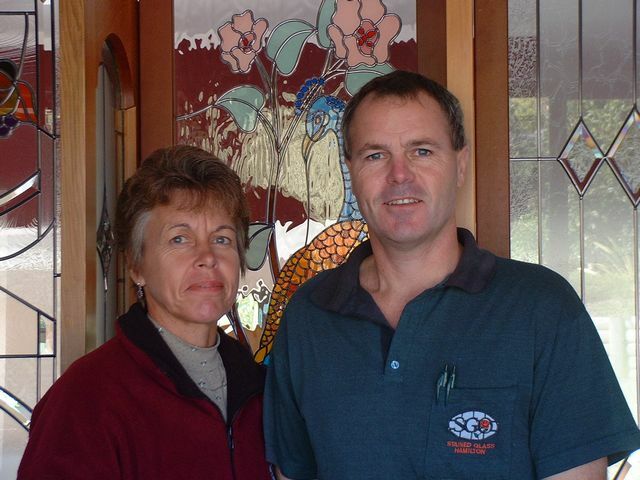 Stained Glass Hamilton Ltd was established in 1998 by Dave and Debbie White. We are designers and manufacturers of the three main glass art forms – Stained Glass Overlay, Traditional Leadlight and Sandblasted glass. 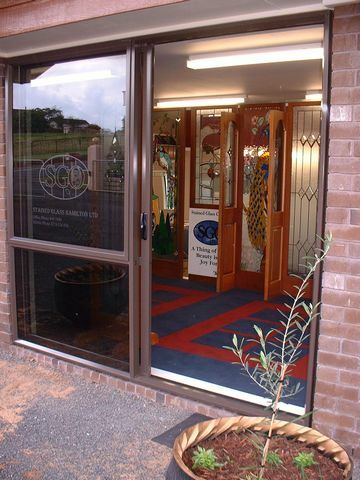 Stained Glass Hamilton Ltd will help you add that personal touch to your home, business or place of worship. This may be in your entry area, feature windows, internal doors, mirrors or wall art. Most options provide the benefits of using toughened safety glass in either single or double glazed applications with either timber or aluminium joinery. Although we principally service the greater Waikato Region – south of the Bombays through the Coromandel and down to Tokoroa and Te Kuiti, we are part of a larger network of Designer Glass studios throughout New Zealand and the world. Please feel free to contact us to find a studio near you or you can visit our SGO New Zealand website CLICK HERE for a detailed list. 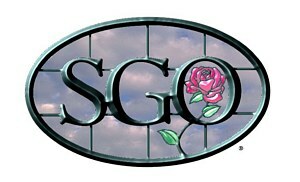 This site will also show a further range of design ideas as will SGO Australia – CLICK HERE and SGO USA – CLICK HERE.